Do you ever miss going to the club and not feel anxious because you aren't up-to-date on the hottest dance trends? Ugh, the good old days! Well, now there's a way to get back to your roots and relive simpler times when fellow clubgoers were doing the hustle and the lawnmower, moves that requires way less coordination and skill. This Halloween, make classic dance moves from the past trendy again! 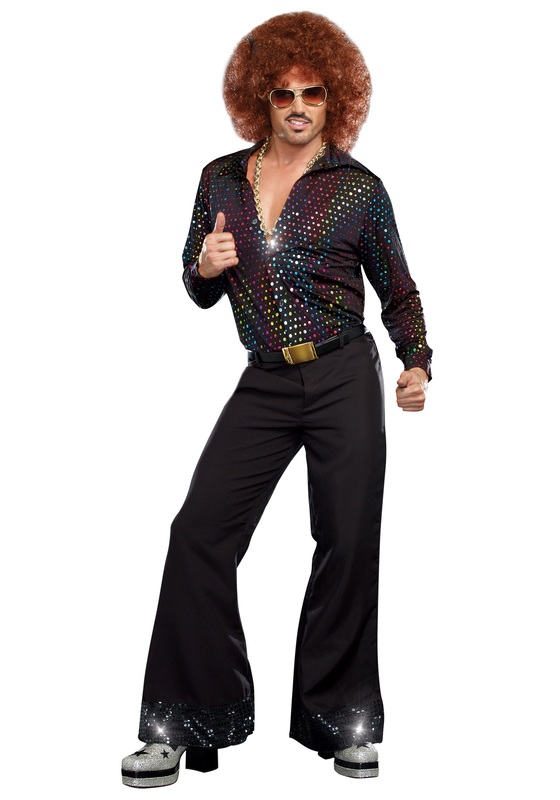 Wear the disco dude plus size shirt costume, hit the clubs, and break out some older, safer, less complicated dance moves. Plenty of people will thank you for it; us included! 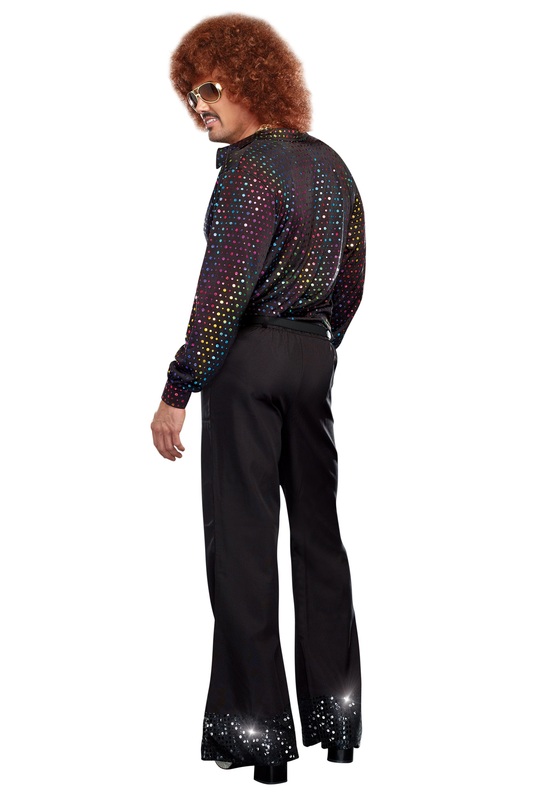 Before we begin to describe this sparkly shirt, please note, this costume only contains this amazing long-sleeve; the pants are sold separately. The knit shirt has attached, iridescent, rainbow sequins and a wide wing collar. This garment also features real, functional buttons on the sleeve cuffs and down the center front. If you really want to make a splash at the party with far-out duds paired with blast-from-the-past dance moves, then pick up some must-needed accessories too. Pick up the black sequin disco pants, a gold 'disco' necklace, platform shoes, an afro wig and a pair of aviator shades to imitate the exact look pictured here.